LIVERPOOL boss Jurgen Klopp says the "door is always open” for Steven Gerrard's return to the club in a coaching capacity. But the German is currently more concerned with his current Reds stars than a former one ahead of their English Premier League match with Sunderland tonight. Klopp isn't taking Sunderland lightly after it moved of the bottom of the ladder with a crushing 3-0 win over Hull last weekend. "Everything is prepared for a good football game if we do our job,” he said. The Reds slipped to second on the table after being held to a goalless draw by Southampton last weekend. It ended a run of three straight league victories before the international break. "I didn't have the feeling that we suffered during the international break. 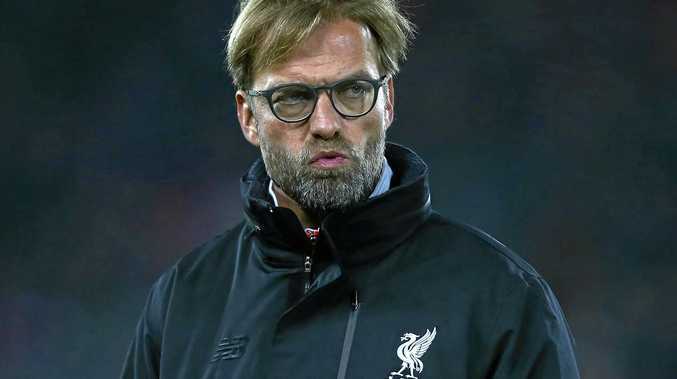 It's not perfect but it's the same for every team,” Klopp said. "We had no time to waste in the first few weeks of the season, now it's becoming more and more intense. Klopp became increasingly frustrated when questions kept coming about Gerrard, who officially announced his retirement after an illustrious career that began at Anfield in 1998 and will end at the LA Galaxy. He urged the media to give him "space” before he makes his next move. At this stage that looks most likely to be joining the England set-up as opposed to Liverpool.